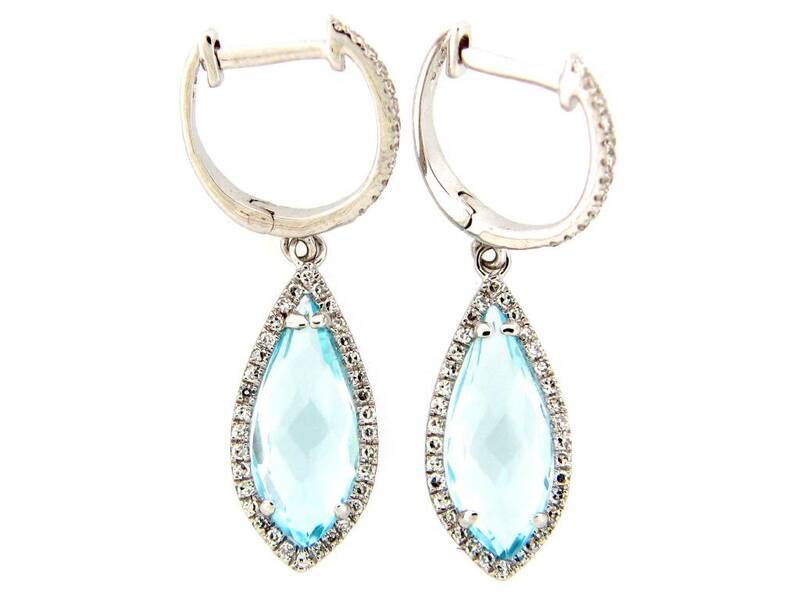 Ladies blue topaz and diamond drop earrings of contemporary styling. 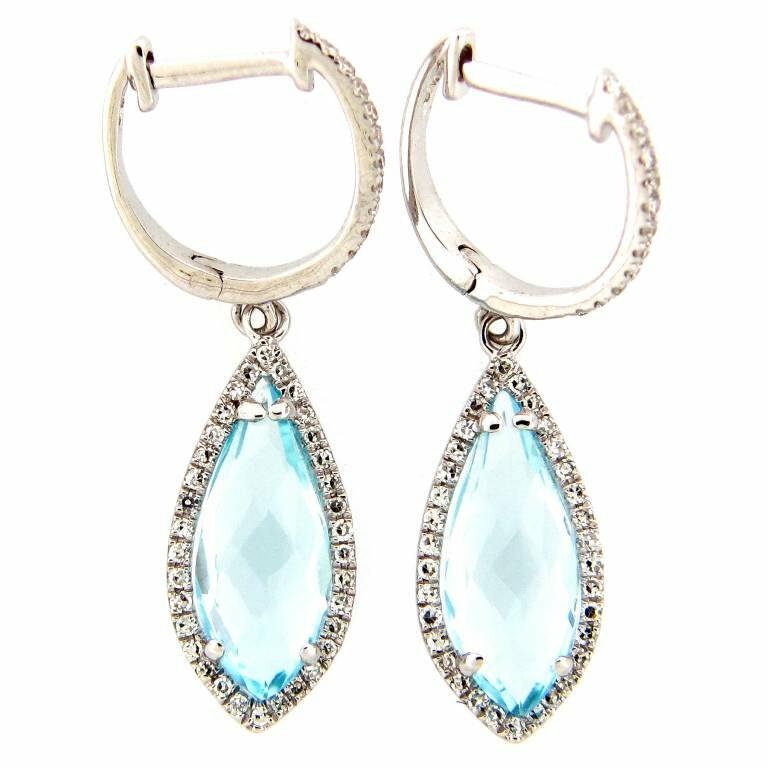 The earrings are crafted in 14k white gold and set with a combination of blue topaz and round brilliant cut diamonds. The blue topaz have a combined gem weight of 3.13ct and the diamonds have a combined weight of 0.24ct. They secure with lever backings for safety.